Former PPA Executive Director Vince Fenerty. Pennsylvania's auditor general released a damning report Thursday, equating the Philadelphia Parking Authority's board of directors to an "absentee landlord" in failing to address the behavior of former Executive Director Vince Fenerty, who was ousted from his position last year for allegedly sexually harassing two staff members. “Specifically, the board failed to oversee the activities of the former executive director allowing him to not only operate the PPA inappropriately, but to also engage in sexual harassment, and take advantage of his position for his own personal financial benefit," Auditor General Eugene DePasquale said. According to audit, which never mentions Fenerty by name, the PPA went out of its way to keep Fenerty employed despite two instances of alleged harassment. The authority didn't provide sexual harassment training a single time in between the two instances, and never updated its policy between 2006-2016, according to the audit. Fenerty was also able to manipulate paid leave and comp time for personal gain, and had almost unchecked power in the PPA's hiring process, using informal practices and circumventing the Equal Employment Opportunity Policy, DePasquale said. In a separate audit, DePasquale's office found the PPA left about $78 million in revenue to the city's cash-strapped school system on the table from 2012-2017 via payroll mistakes, questionable employee perks, uncollected parking fees, over-budgeting and excessive compensation. U.S. Rep. Brendan Boyle, who represents parts of Northeast Philadelphia and Montgomery County, said "sweeping and immediate changes" must be made at the authority, and called for Chairman Joseph Ashdale to resign. 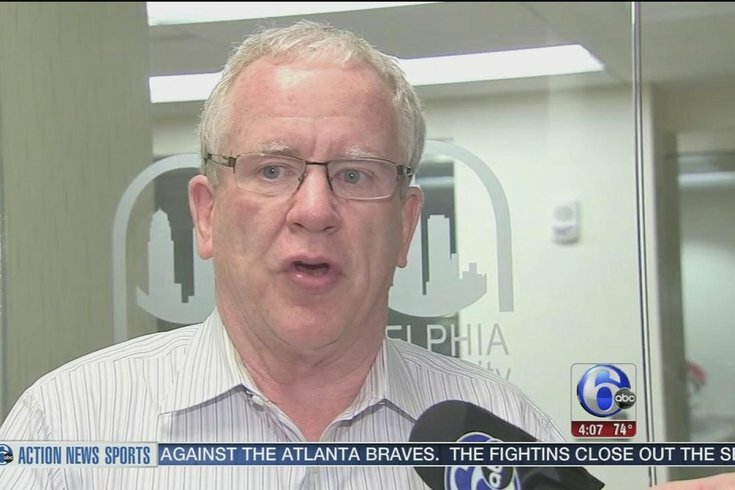 “These latest findings by Auditor General DePasquale leave no doubt that, under Chairman Ashdale’s leadership, the Philadelphia Parking Authority allowed a sexual harasser to continue as its executive director," Boyle said in a statement. Philadelphia's Controller-Elect Rebecca Rhynhart went a step further, calling for the entire six-member board to resign and echoing DePasquale's call to return governing power over the authority from the state to the city. "This is not acceptable for the residents of our city and, as such, I agree with Auditor General DePasquale’s assessment that the Parking Authority should return to local control," Rhynhart said. In a statement, the board of directors did not directly respond to DePasquale's assessment of their handling of Fenerty. Instead, they thanked him for his office's "thorough, rigorous, and disciplined" work in producing the audit. The board also said it had already addressed 80 percent of the 117 recommendations (a record for the auditor general's office) made for the PPA, which ranged from preventing and disciplining workplace behavior like Fenerty's actions to operational issues that caused the millions of dollars in lost revenue to the schools. The allegations against Fenerty go back to 2006, when a PPA employee reported sexual harrassment by Fenerty in the early 2000s, according to an Inquirer report. It was later revealed that a second female employee told PPA officials that Fenerty harassed her in 2015. The authority determined through an independent investigation that Fenerty had harassed the woman, a senior director at the PPA. It imposed sanctions on Fenerty and offered the woman a $150,000 settlement, but she refused the money. Fenerty admitted to harassment after the 2015 incident, but was still allowed to keep his $223,000-per-year-job, according to the audit. DePasquale said once these incidents were revealed to the public in September 2016, the PPA began taking steps that appeared to be positive progress. But the authority went out of its way to keep Fenerty in his position even after the second set of allegations, according to the auditor general. "Under no circumstances should you ever kiss, caress, hug, massage or otherwise engage in personal physical conduct with an Authority employee. You shall not comment on the personal appearance of an Authority employee. You may not engage in intimate personal conversations of a sexual nature with an Authority employee." Even after the 2006 allegations were reported, the PPA allowed Fenerty to resign rather than firing him, a move DePasquale said opened the door to what was initially a more than $400,000 payout to Fenerty. The amount was later reduced to $227,228.29, but DePasquale's office labeled that payout as "excessive" in January, arguing it should have been about $2,000 less. The PPA said a formal complaint wasn't lodged for the 2006 incident. But DePasquale said that's "irrelevant," because the four members who were serving then and at the time of the 2015 complaint should have known and factored it into how they handled Fenerty. “The handling of sexual harassment complaints against the former executive director boggles the mind on so many levels,” DePasquale said.